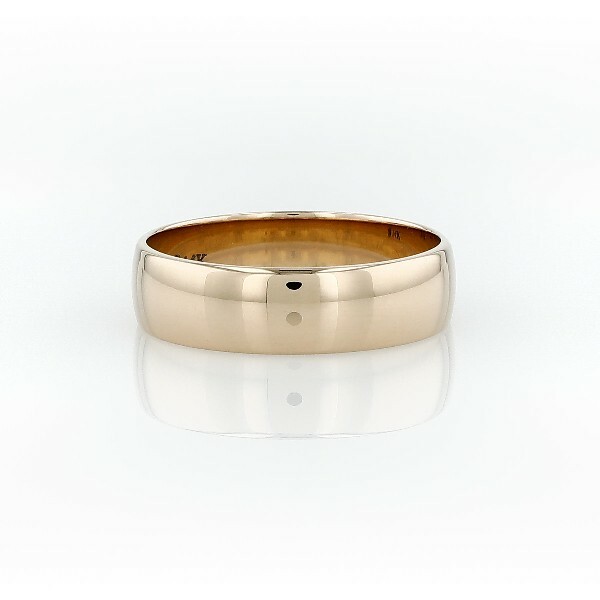 This classic 14k yellow gold wedding ring will be a lifelong essential. The 6mm width is perfect for someone who prefers a more substantial look with a low profile aesthetic that's perfect for everyday wear. The high polished finish and simple style is a classic design.